Today was very productive I fitted my engine back in, fitted my steering system, fitted fuel tank and fuel lines, made up all new brake pipes and fitted, fitted extended hoses, fitted new bushes in rear suspension arms and fitted back onto vehicle, fitted rear ora dislocation plates. Ooh and fitted the bracket for load sensing valve. All was nice and easy with the body off. .....Plenty more on its way !!!! SteBurns wrote: Did you use their own website or eBay, or another method? I use their site direct. You can enter a discount code as well ("ALL20") to get 20% off. 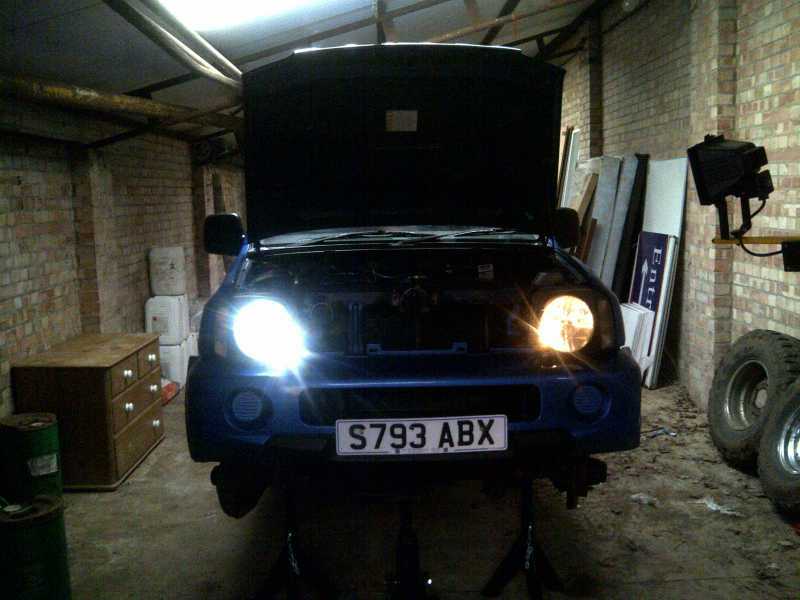 Dave n lincs wrote: Today was very productive I fitted my engine back in, fitted my steering system, fitted fuel tank and fuel lines, made up all new brake pipes and fitted, fitted extended hoses, fitted new bushes in rear suspension arms and fitted back onto vehicle, fitted rear ora dislocation plates. Ooh and fitted the bracket for load sensing valve. All was nice and easy with the body off. All in one day? Good work. Last edit: 10 Feb 2013 23:08 by jimnybob. Yep all in one 10 hour day. Hopefully get it back under the body next weekend and rolling again. Last edit: 12 Feb 2013 21:33 by GuardianAngel. Let us know how it works out please, might have to get one for mine! Will do. Got mostly good reviews and only a tenner so worth a shot. Fitted drivers side pads and new disk. Noticed a lot of play in the hub so probably the bearings have gone. Could explain my brake problem (wobble pushing pads apart). Just the rear shoes to fit and rebuilding of brake lines to go.